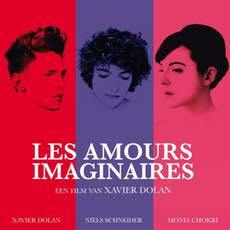 On our belated Valentine's Day podcast we fall for Les amours imaginaires. 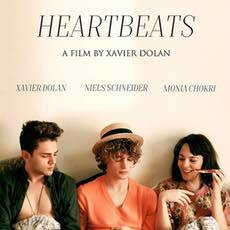 Xavier Dolan's second film, aka Heartbeats, casts a romantic spell that makes our hosts swoon. Comparisons with Francois Truffaut, Jean-Luc Godard, Wong Kar-wai and Quentin Tarantino are just the beginning. A fun version of the song "Bang Bang (My Baby Shot Me Down)" can be seen in this clip from the short film A Summer Dress. Find more information about this film and related ones on the respective IMDb pages for Heartbeats, Jules and Jim, In the Mood for Love and Blue is the Warmest Colour. 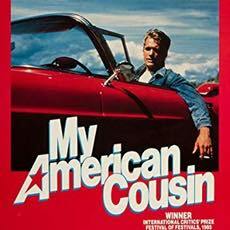 Chris and William rediscover My American Cousin, a gem of BC cinema. The touching story of an Okanagan summer melted their winter blues. Writer-director Sandy Wilson's film draws comparisons to Call Me By Your Name and Stand By Me. Find more information about this film and related ones on their respective IMDb pages: My American Cousin, They Shoot Horses, Don't They? and American Boyfriends. 'Twas the night before Christmas when we posted our obligatory holiday episode. 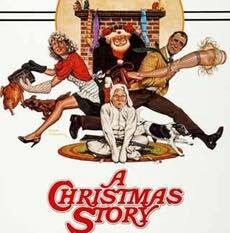 Hear Chris and William discuss how A Christmas Story is an enduring classic. The Ovaltine is hot, the duck is roasted and their memories are fond. We triple dog dare you to subscribe to this podcast. Find more information about this film and related ones on their respective IMDb pages: A Christmas Story, Road Trip for Ralph and A Christmas Carol (1951).